Doping Top Secret: Confession – Inside the mind of a doper. Sportschau. 17.01.2019. 44:36 Min.. Das Erste. Little is left of the glory that Johannes Dürr achieved through dishonest means. The cross-country skier lives a life, completely devoid of glamour. He lives on the edge of Innsbruck, Austria, in a fifteen square metre room in a shared apartment. He has installed a bunk bed in his room for his son, Noah, because the kid finds it cool and, above all, because it saves space. When invited into his kitchen for our story, one of his flatmates remains seated at the table, with stoic calm, enjoying a plate of pasta and a glass of wine. In February, five years ago, when his life changed so abruptly and brutally, Johannes Dürr would never have thought that he may once again cause a stir in his sport. That he would become known, not for his rapid rise in sport, but for the story behind his downfall. Austria's former medal hopeful is currently training for a comeback. On 22nd February 2014 at the Winter Games in Sochi, Dürr’s bosses from the Austrian Ski Association had him dragged out of bed shortly before midnight to make quick work of the matter: Dürr was hurried into a hotel, where he was to wait for a premature flight home. A doping sample, taken during a training camp back home in Austria, had shown traces of the endurance drug EPO. Between his first race at the Olympic Games in Sochi and the final competition over 50 kilometres, where he was hoping for gold, Dürr returned home to practice. And to dope. He admitted this at once. During filming for the ARD documentary “Doping Top Secret: Confession. Inside the mind of a doper” he then belatedly came clean about all that lay behind his large-scale cheating. 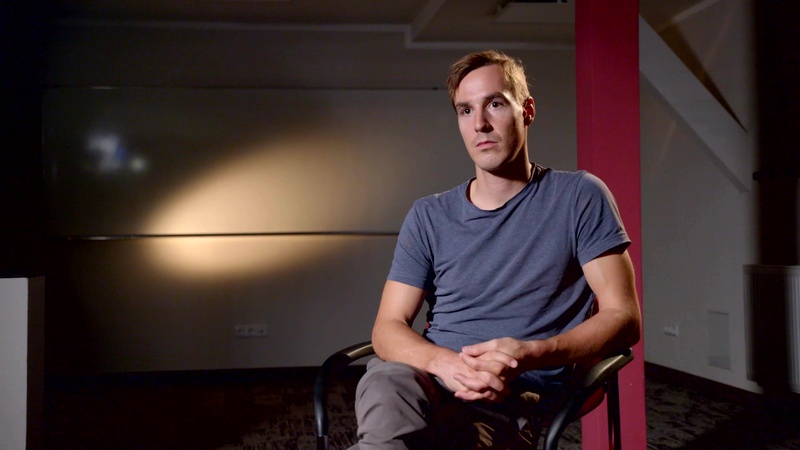 Unlike the period when he was unmasked as a cheat, Johannes Dürr now describes, in front of the cameras, how an emerging athlete from a provincial background was able to implement a sophisticated, and virtually undetectable, doping program involving autologous transfusions and with foreign support. Cross country skiier Johannes Duerr reports on ARD about his doping past. Dürr honed his body with a whole arsenal of means to help boost his hopes of an Olympic gold medal. Besides EPO, he also took growth hormones, tried out insulin, and even underwent blood transfusions. His own blood was drawn from his body, concentrated red blood cells were extracted, and it was reinjected shortly before competitions. This highly effective method allows more oxygen to flow to the muscles. What’s more, it’s virtually undetectable. For a total cost of five thousand euros, Dürr had his blood manipulated in hotels at Munich Airport, in the city centre, in a motel at the Irschenberg Service Area on the A8, and in a car park next to his hotel in Oberhof. There was a deal that his helper would get a cut of any of the winnings. As the time approached for the race where he was hoping to win Olympic gold, immediately before returning to Sochi, he received his last shot at the Hotel Ramada Innsbruck. The blood doping that took place in that hotel can safely be described as the most brazen of all: the building with the striking, skewed design is situated directly across from the light blue, inconspicuous headquarters of the powerful Austrian Ski Association. At rock bottom: After his positive test, Johannes Duerr thought of suicide. In spite of it all, Dürr gives a clear account of how he was able to cross the moral line and engage in banned practices. He gives a report of how his performance was gradually developed in the elite institutions of the Austrian Ski Association, of the absolute principle of performance, and of the rigorous culling process. And of the accompanying pharmaceuticals. Even at the Ski High School in Stams: “Everyone dabbled around on their own, so to speak, going in to other kids’ rooms and asking: aha, a new pill, what’s that? Interesting, aha, do I need it, too? Under the care of the Association, he steadily progressed in this disastrous direction, where at some point top athletes submit to a regime of drugs that differs only slightly to that of a seriously ill patient. From iron and vitamin injections, and permitted infusions by team doctors before a Junior World Championships, for example, Dürr inevitably came closer to the illegal zone in barely noticeable increments. The Austrian Ski Association denies any active assistance in or toleration of forbidden practices. Sochi: Johannes Duerr returns to the sight of his downfall. Johannes Dürr felt that those responsible in his Association knew which means were required to win medals. When he hinted at this feeling he had during a public speaking appearance, the Austrian Ski Association immediately brought out the big judicial guns that were to stop Dürr from repeating such statements: the ÖSV obtained an injunction against its athlete. In any case, elite sport already reliably creates the cynicism of its own accord. One example: during Dürr’s two-year suspension for doping, it emerged that the Games in Sochi were probably the dirtiest of all time, due to Russian state-sponsored doping. And, in Dürr’s absence, the great 50 kilometre race was won by… three Russians.